Papers, Pencils and Books, Oh My! : Handing out Awards! Okay, I have taken this role very seriously, and have been working hard to find some great blogs that deserve these awards. Before I can hand them out, I have to give you the info about the rules and tell about myself. Yeah! 1. Follow the person who gave you the award. 3. Share the love! 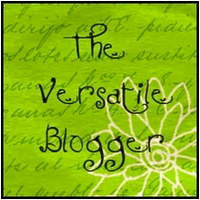 Pass the award onto 15 new bloggers! 1. I love romance novels (swoon here). 2. I don't want to get a pet, even though the rest of my lovely family asks me weekly (including the hubby). 3. I love to eat all sorts of food, but celery is down right the WORST vegetable ever. Blah! 4. I love book stores and libraries! I am saddened by the fact that this world is moving towards electronic reading devices and some libraries are closing. 5. I have a very sensitive sniffer, and my hubby finds me sniffing all sorts of things and laughs at me. 6. I love to play games with my family. Cards and board games are great! Currently we have been playing Skipbo, Rumikub and Canasta this summer. 7. I love to collect scarfs, and wear them too! 11. A Year of Many "Firsts"
14. That's So Second Grade! Thanks for being such lovely blogs! wow,thank you Tarita sooo much!